Thousands of schools across the UK have been busy collecting used batteries and adding them to their school containers for recycling. We hope to recycle 4 million batteries across the campaign, so to get your school involved, make sure to register here. 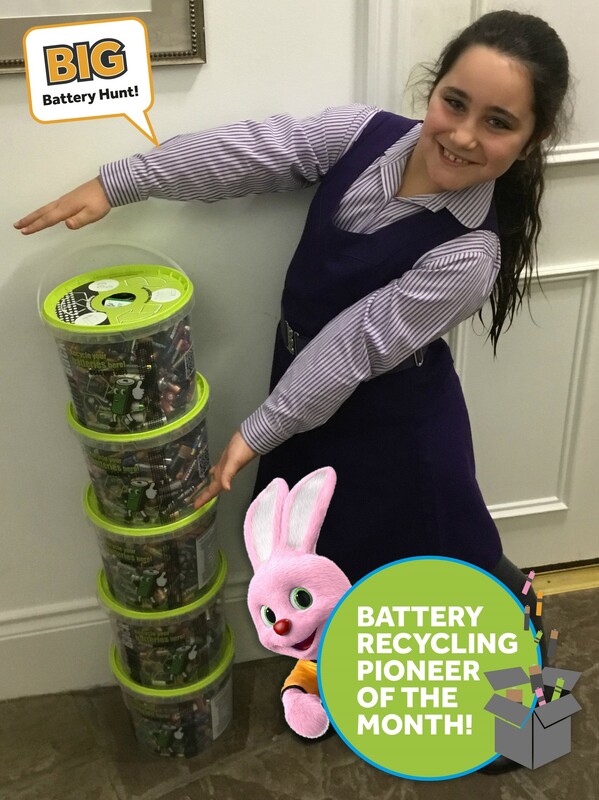 Congratulations to Talia from Glendower Prep School who won herself an iPad for being our first Battery Recycling Pioneer of the Month! With thousands of free school containers starting to arrive in schools, our recycling partner, BatteryBack, has created a handy step-by-step video guide to help you assemble them. Watch the video here to see how to assemble yours, and then get busy filling it! With your help, the Big Battery Hunt hopes to make a positive difference to our planet and the way that young people think about recycling batteries. Make sure your school rises to the challenge too!